You can place this cheat sheet as sidebar to an editor, or print it out. Please help us with translating the cheat sheet to other languages. 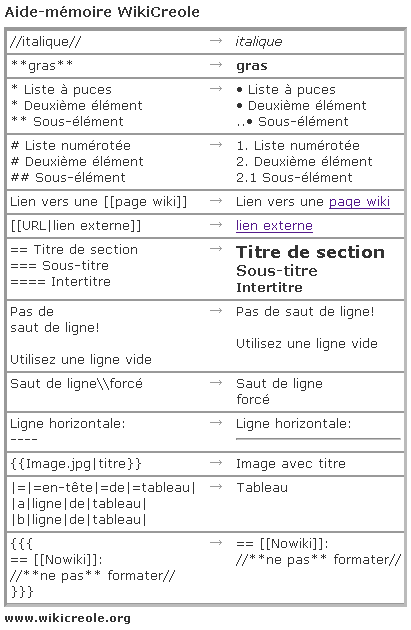 Simply translate [[creole_cheat_sheet.html]] and attach it to this page (you have to log in to see the attachments tab). Thanks! If you don't have that much time, you can just translate the important phrases on [[CheatSheetTranslation]] page.